"1968. I was 12 years old. A lot happened that year. Denny McLain won 31 games, "The Mod Squad" hit the air, and I graduated from Hillcrest Elementary and entered junior high school. But we'll get to that." 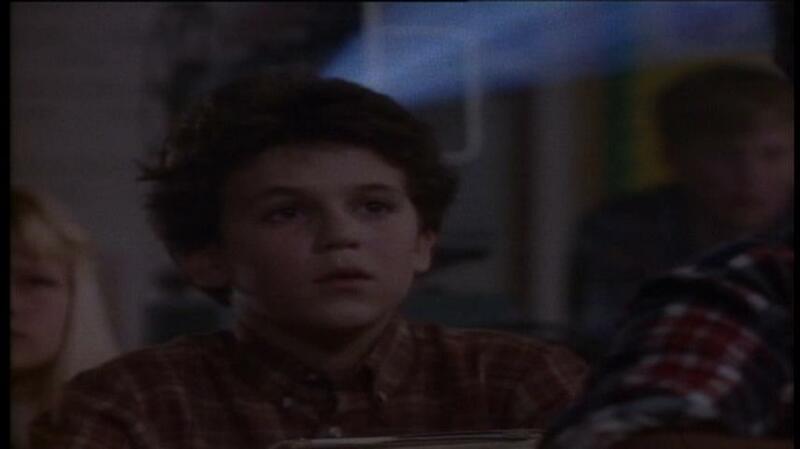 So begins the present-day narration from Daniel Stern as Kevin Arnold in present-day 1988, looking back on his life 20 years before as played by Fred Savage. "The Wonder Years" was one of the best shows of its time, providing a nostalgic look at the past as well as a funny and sentimental portrayal of growing up which kids of the present time could still relate to. The show's format mainly transported viewers to 20 years ago, but present-day Kevin would always chime in with voiceovers either explaining a few things in context or sometimes trying to give better advice to his younger self. We watched Kevin at home with his parents Norma (Alley Mills) and Jack (Dan Lauria) along with menacing older brother Wayne (Jason Hervey) and hippie sister Karen (Olivia D'abo). We also watched him go to school and try to survive the climate there along with nerdy best friend Paul Pfeiffer (Josh Saviano), on-and-off girlfriend Winnie Cooper (Danica McKellar) who also lived across the street from him, as well as many other friends and love interests who came into and out of his life. Time Life has previously issued The Wonder Years in a deluxe set containing every episode as well as numerous bonus features, and has also issued the show's six seasons individually in simpler packaging, using the same discs found in that set but excluding the four discs that consisted exclusively of bonus content. This new Complete Series set consists of those six season sets in a box- the keepcases inside are exactly the same as the individually-sold seasons, shrinkwrapped and complete with the top sealing stickers and promotional stickers (exclaiming "First time on DVD!") which I cut out and save, being an obsessive collector. Going through the complete series of 115 episodes is quite a trip, as we see roughly five years of Kevin's life (as the first season began with only 6 episodes debuting mid-season, the 7th grade year was stretched out through the end of the 2nd season). The premiere episode sets things up nearly perfectly, as we're introduced by the present-day off-screen Kevin to the main characters who we'll then be seeing a lot of. As 1960s nostalgia was a rather big thing in 1988 and likely still is today for the subsequent years, the show pushes all of those buttons with a large variety of songs of the period (the first song heard is the Byrds' quintessential song of the era "Turn! Turn! Turn! (To Everything There Is a Season)") and occasional archival film and video clips from the time. Another nod to the era is neighbor Winnie's older brother, who was idolized by Kevin and other kids of the neighborhood, who ends up being killed in Vietnam- the news reaching home right when Kevin is about to be punished for throwing an apple across the school lunchroom during his first week there. The first episode was quite well-received after airing, and the show remained a favorite for the remainder of its six-season run. While the last episode was intentional and wraps things up suitably, it was speculated that the show could have continued for as long as its cast was willing- I was personally disappointed that it ended before reaching the disco era. Watching the show now, it had me look back not only to the time the show takes place in, which I'm not old enough to remember, but also to when I was Kevin's age. (For reference, I was in 9th grade when the show premiered and remember watching the very last episode in my college dorm room.) Mind you that I was a bit "different" from the average kids of that age, and wasn't exactly as popular with the ladies as Kevin was here. ("Social anxiety" wasn't a commonly-heard term in either 1968 or 1985.) While Kevin's friend Paul is a bit of a stereotypical nerd (he wears glasses and is said to be "allergic to everything"), the writers give him a bit of a break and not have him shunned by everyone at school. A big thing I remember from my first weeks of seventh grade is the absolute fear that I would get beat up by the older kids- something Kevin faces a bit but is confident enough to stand up for himself. One of the more touching episodes is one where Kevin gets partnered in a dance class with a girl who is a bit eccentric. 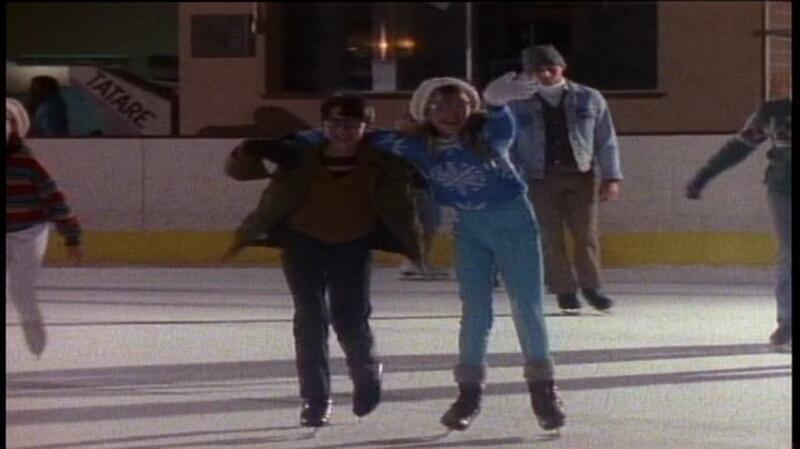 Although Kevin likes her, he gets teased by his peers about it and ultimately asks her not to talk to him in public. We can sort of tell that the present-day Kevin regrets this a bit and sees it now as buckling under pressure to conform, and that saves him from being viewed as a jerk for the rest of the series. Further on everyone moves on to high school, friendships and relationships come apart and are eventually mended, and there are plenty of surprises. Of course these shows were not meant to be viewed together in such a short time, and doing so brings out inconsistencies that I can't help but point out. One of my criticisms of other shows I've watched in this manner have been characters that are almost center-stage in one episode, but then disappear and are never seen again after that. Besides Kevin's shunned dance partner, there's also a delinquent kid (an early appearance from Breckin Meyer) who befriends Kevin and Paul in one episode, leading them into a brief flirtation with booze and drugs. While the two decide to stop hanging around him by that show's end, one would think they would still run into him a few times after that. While Daniel Stern's narration as Kevin in present day was one of the show's signature features, after having seen 1983's A Christmas Story and finding the similar format of the lead child's older self talking over the movie a bit annoying there, I couldn't help but think that "The Wonder Years" might have been better off without him. While he certainly does well in introducing everything in the first show, other times it seems like he can't decide whether to simply narrate, reminisce, or try to talk to his younger self and have him act differently than before. This is most apparent again in the episode with the delinquent kid, when Kevin tries a beer- the voice over tells him to "Just say no" (a common anti-drug slogan of the 1980s, which is at least appropriate given that the narration is in the present.) I'm sure that Stern was the favorite part of the show for many, but it would have been interesting for the discs to include an alternate audio track without him. Another criticism I have is that while it looks like there was considerable effort to have the show look authentic to the period, there are a few mistakes. Kevin's sister is actually introduced with a Panasonic "Dynamite 8" 8-track player that didn't exist until the 1970s, and the biggest goof is in the following picture which I spotted right away when it first aired- can YOU tell what doesn't belong here? Still, despite these faults, you can't help but love "The Wonder Years" and be enchanted by its nostalgia and characters. All episodes were shot on 16mm film, common for TV shows of that time, and then edited on video- the color scheme fits the era the story takes place in without looking too worn out, and show wasn't afraid to use many dark settings. The shows on these discs are from analog video masters that appear to be a step down in quality from what was originally aired on ABC. I noticed some analog "smearing" particularly in dark scenes, as well as some horizontal rolling bars in a few episodes. Most unfortunate is that Time-Life's DVD compression is a bit less than optimal, as it has been on most of their product I have seen. On an HD display compression artifacts are quite apparent, not awful but a better job could have been done (on Paramount's TV product, I've seen no compression artifacts at all.) In the nit-picking department, the New World Television logo at the end of each episode has been replaced with the current CG 20th Century Fox Television logo. 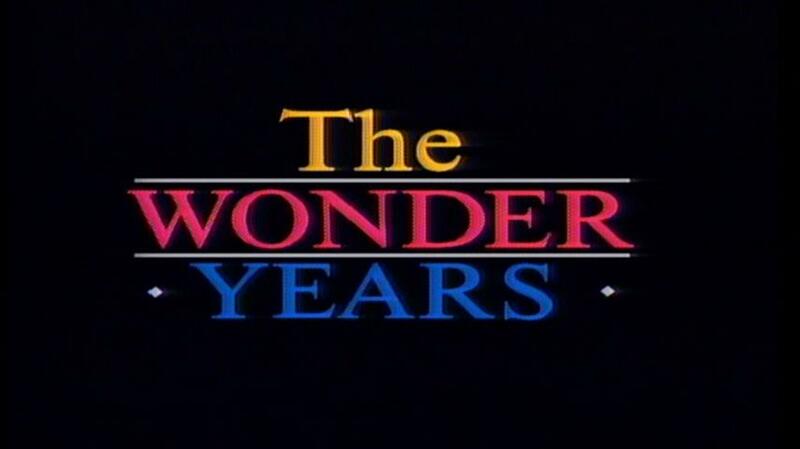 By 1988 almost all network shows were produced in stereo, and "The Wonder Years" uses it to great advantage most of the time. The highlight of course is the music of the period (it should be noted that music rights clearances were a big issue for getting this show on disc, and some of it has been changed) as well as the guitar score by W. G. "Snuffy" Walden. The sound of the show itself varies, with some having a rather wide ambient soundstage while others sound close to mono. Daniel Stern's narration is usually diffuse across the front speakers rather than centered, a common technique for voiceovers. All episodes include traditional analog closed captions, which often identify songs by artist and title. Season One includes "Highlights from the Wonder Years Cast Reunion" in 2014 which has lively conversation with the main cast both on a soundstage and a set that slightly resembles the kitchen area in the show. "With a Little Help From My Friends" talks about the show's inception with cast and creators. Individual interviews from show creators Neal Marlens and Carol Black, as well as actors Fred Savage, Josh Saviano and Danica McKellar (each running about 20 minutes) are the same sources of interview clips used in the prior featurette but in more complete form. 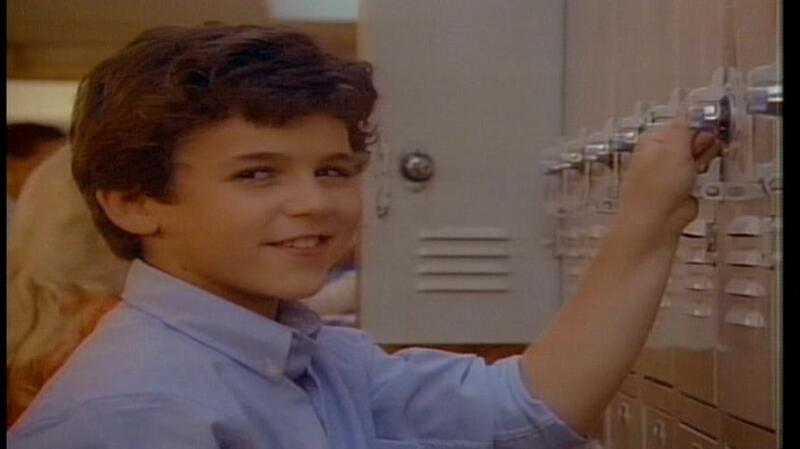 On Season Two we get "School Days," a roundtable discussion with Fred Savage, Danica McKellar and Josh Saviano as they do more reminiscing, and "The Times They Are A-Changin'" which discusses the late 1960s and how the show relates to it, with memories from those old enough to have been there. Individual interviews this time around are from Daniel Stern, Dan Lauria and Alley Mills. Season Three includes another roundtable with Savage, McKellar and Saviano, with "A Family Affair" exploring the characters of the Arnold family quite in-depth, as well as individual interviews with Danica McKellar (again, this time talking mainly about events in this third season), as well as her sister Crystal McKellar, Olivia d'Abo and Jason Hervey. Season Four has a rather long, at 35 minutes, piece called "Teachers That Made a Difference", focusing on the junior high school teachers and the actors who played them, as well as another Fred Savage interview along with actors Robert Picardo, Ben Stein (who plays the same type of teacher he did in Ferris Bueller's Day Off) and Wendel Meldrum. Season Five's extras are "That's A Wrap!" featuring home video footage from co-producer Mark B. Perry giving the set one last look before leaving the show, "Will You Love Me Tomorrow" focusing on the love stories of the show, another Olivia d'Abo interview and one from David Schwimmer. The final season includes "At Last," a featurette on the last episode, "From the Vault" which has Alley Mills reading a letter she had written to executive producer Bob Brush to apologize for an argument she'd had with him while shooting the last episode, and an interview segment with Brush himself. The final episode itself is also billed as an extra, as its selection from the main menu gives you two half-hour episodes that were split up from the original one-hour show for syndication. In the "Extras" menu, the hourlong show is presented again as the "ABC broadcast of the series finale" but still excludes the commercials. (This does include the New World logo at the end.) Each season also includes a booklet with informative liner notes, descriptions of each episodes with original air dates. "The Wonder Years" was one of the last network series I watched as it aired. Revisiting it in its entirety from the very first episode to the very last is an experience which lends itself to having every season and not just one's favorites. Although this set is a step down from the "DVD Talk Collector Series" deluxe set, you still get every episode which is what really matters.